Religious Services Minister clarifies that Reform Jews are Jews and no one may decide who is a better Jew. 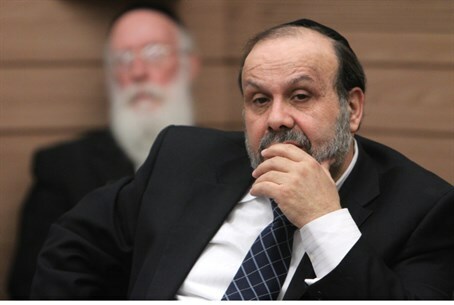 Minister for Religious Services, David Azoulay (Shas), clarified in a Knesset speech Wednesday morning that his statements in an Army Radio interview Tuesday had been misrepresented. "Interested parties exploited my statement to deepen the rift within the nation and increase the incitement,” he said. “No one has a monopoly for determining who is a better Jews,” Azoulay added. “And yet, we see with great pain the danger of the Reformation in Judaism, which brought the greatest danger to the Jewish nation: assimilation. "We pray that sins will be purged from the land – sins, not sinners,” he explained. “We will continue to pray for the entire nation of Israel to repent, while we ourselves will do everything possible to be a beacon of light and values for everyone. "A Reform Jew, once he does not follow the religion of Israel – then let us say, there is a problem. I cannot allow myself to say that he is Jewish,” Azoulay told Army Radio. However, he did add immediately: "These are Jews who took a wrong turn along the road and we need to ensure that every Jew will go back into the fold of Judaism and accept everyone with love and joy,” he added.